Secrets on how to get your body better at doing all the things you love to do. FREE TO ATTEND! REFRESHMENTS and Snacks. Amazing Health Information, Anti-Aging, Giveaways and MORE! Things you will wish you knew before exercise hurt you. Get your body better at doing all the things you love to do. 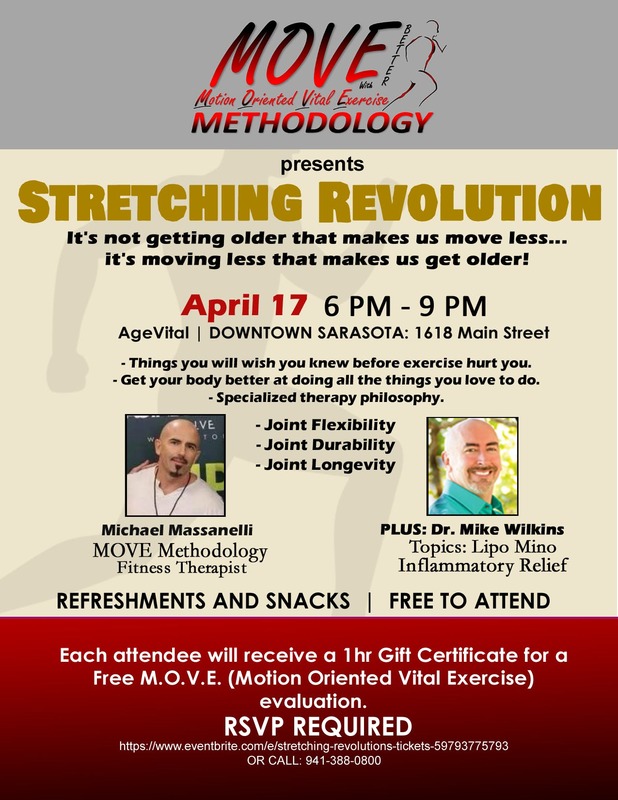 Each attendee will receive a 1HR Gift Certificate for a Free M.O.V.E. (Motion Oriented Vital Exercise) evaluation from MOVE Methodology! Escape Reality Downtown Sarasota VR BAR GRAND OPENING!